Summer dance camps are one of the best parts about being on summer break for many kids! However, we know it might be the first time you and your kids are separated during summer vacation. We also understand that summer camp might be a new experience and that it might make both dancers and parents a bit uneasy. 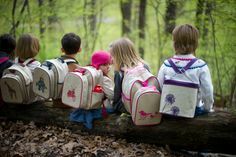 So we’ve compiled a few tips and tricks to help put your mind at ease and to get you and your little one prepared for a fun-filled summer at camp! The most important part about making yourself and your camper more comfortable with summer camp is to have a positive attitude! If you don’t think camp will be a positive experience for your child, neither will he/she. Remain positive, give him/her a pep up talk in the morning if the nerves kick in. You can also offer words of encouragement and remind your camper of how much fun camp is! For young campers, reminding them that attending camp is definitely something for “big boys” and “big girls” will also make a huge difference. So turn that frown upside down and head to camp with a positive mindset! 2) Share Your Own Camp Experiences! Did you go to camp as a child? If you did, don’t forget to show your dancer pictures of yourself from when you were a camper! Explain to them how much fun you had, how many friends you made, your favorite summer camp memories, and all the neat things you learned! 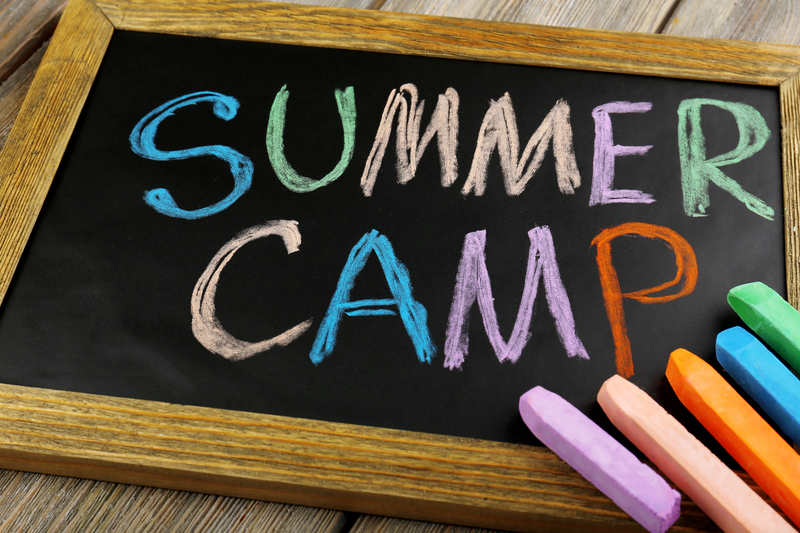 Your summer camp tips will excite your children for their own camp and while easing their nerves! 3) Head To Camp With A Friend! Having one of your child’s friends attend summer camp with your child will comfort your camper because they will know someone as soon as they arrive to camp! Not only will this strengthen your child’s current friendship because of these new and fun experiences, but it will reduce your child’s anxiety significantly! (especially if your child is shy!) Having a camp buddy will help your child venture out of his/her comfort zone and help add new kids into their friendship circle! 4) Learn About The Camp! Learning about the camp in advance will most likely ease your nerves! Go online and research the names and faces of the camp staff. You can also get a better idea of what to expect by reviewing camp videos, brochures, etc. which can all be found on the website of the summer camp your child is attending. Reading over camp safety policies or reviewing safety with the camp provider will definitely make you and your child feel a lot better if you’re nervous about the big day! We know that as a parent you might feel obligated to pack every single thing you can think of. But don’t worry, you really don’t need to pack too much! An extra change of clothes in a bag is always handy (just to be safe in case of accidents). Don’t forget to pack healthy snacks such as fruits and veggies for breaks (nothing too sugary!). Water bottles are a must, you can even bring one reusable bottle so your child only has to carry one bottle. It’ll also make their bag a bit lighter. A list of emergency contacts is important for your child to leave with the camp providers just in case of an emergency. Lastly, be sure to label everything with your child’s first and last name just in case he/she loses any of their belongings! Resisting the urge to tell your child over and over how much you will miss him/her will make summer camp a lot easier for you and your child. When you constantly tell them that you will miss them, it increases the risk of separation anxiety, especially when you’re saying your goodbyes. Instead, recognize that it is just a few hours a day, and your child will be having so much fun so there won’t be time to get homesick! Give your child a hug and a kiss and send them on their way! 7) Give Yourself Extra Time On Check-In Day! time to get checked in. Make sure you arrive early to talk to the camp staff, get your child checked in, take pictures, and say your goodbyes for the day. You won’t regret giving yourself plenty of time to get all of these things done without feeling rushed! Local dance studios offer a variety of summer options. These summer dance camps offer music and creative movement classes, choreography, and teach kids different dance styles such as hip-hop, tap, and ballet! Start your research and be sure to get registered early because camps fill up fast! For more information and tips for summer dance camps, check out the Ultimate Guide To Prepare Your Dancer For Summer Dance Camps linked down below or leave any comments/questions down below! Secure a spot in the perfect dance summer camp for your child today! There are so many ways you can prank your kids on April Fools Day with their food. One easy, but great idea is to fill up their cup with jello instead of juice. When they go to take a sip from the straw, they will be so confused! And, it’s a win for them too because then it turns into a yummy snack! Food dye is a wonderful invention. You can put food dye in just about anything, and get some startled looks from your kids when they realize the milk is suddenly blue. Grab some dye from your local store and go crazy! As they’re getting ready for their dance lesson, prepare a nice cereal snack for them. Make sure you make it a few hours early though, because you’re gonna need to stick it in the freezer for a while. Imagine their face when they try to get a big spoonful of Lucky Charms, only to realize it’s frozen. These April Fool’s Day jokes will make your kids take a second look. If you have a good 20 minutes to spare, turn as much as you can in your house upside down. This means pictures, clocks, chairs, toys, anything you can think of! This will for sure throw them off. When you pick up your kids from their dance school on April Fool's Day, make sure you have a crazy wig on! Whether it’s a hot pink afro, or a rockin’ mullet, you’ll be looking great and your kids will be the perfect amount of embarrassed in front of their dance friends. Another funny idea would be to swap out their dance clothes with a larger size, causing them to think they have shrunk! This means their leotard, tutu, shoes, etc. Plus, you can use the bigger clothes later on! For those of you in Chicago, there are plenty of ways to use the city to your advantage on this holiday. If your child is a big fan of the Cubs, convince them their Chicago dance school got moved to Wrigley Field for the day! This one may cause some disappointment, but could still be funny as long as they have a good sense of humor. Same goes for the Soldier Stadium if they’re more of a Bears Fan. There are endless possibilities for practical jokes in San Diego. One idea would be to convince them your family is going to be leaving the San Diego sun and moving to a much colder city in the middle of nowhere. Another good one would be to tell them that they are unfortunately going to miss participating in the recital with their San Diego dance school, because you are going out of town. If you’ve ever been to recital before, you know that this is not something to be missed. Now that you have all of these ideas in your mind, it’s time to get to work! Just remember that April Fool’s Day is supposed to be fun and be a day full of extra laughter! Create some more memories with your kids by pranking them in a way they will never forget, so they can pass the tradition on to their family one day! Dance class opportunities are everywhere! No matter where you are, there is always a chance to move and groove to the music whether it is in your living room or in a studio. A couple of our favorite locations are Encinitas dance classes in San Diego and Logan Square dance classes in Chicago. These areas offer kid friendly entertainment as well as vibrant and exciting opportunities to get your toddler up on their feet. Read on to explore the endless dancing opportunities as well as all the fun activities for you and your kid. North County is sometimes overlooked due to not being at the heart of San Diego, but that does not mean it isn’t an excellent option for dancing and attractions. Why not check out the Museum of Making Music in Carlsbad with your little one or have a blast with the new added features at Legoland. Another attraction to North County is the dancing features. Check out Encinitas dance classes as well as Carlsbad dance classes. Your child can have a blast dancing to the music they learned how to make at the Museum of Making Music. Logan Square is full of some amazing features as well as vibrant dancing opportunities for your child. Catch a movie at Logan theater where you can find kids movies for only one dollar Tuesday's and Wednesday's at 10am. You can also eat locally at the Logan Square farmer's market every Sunday up until October 26th with live music and all sorts of organic food. Lastly, catch one of the many kid friendly festivals going on during the Summer time. Along with these attractions comes the opportunity to let loose and dance to the music at local dance studios around the area. Take a dance class in Logan Square in the morning, then eat lunch and practice some new dance moves at your local farmer's market in the afternoon. Dancing can be done anywhere. However, it is an added bonus when dancing can be done in areas with numerous other attractions to keep your little one active and learning. Mix kids dance classes with some of these amazing attractions and your superstar is sure to have a blast. We hope you found this information helpful! If you would like more information on Dance to EvOLvE classes, visit our San Diego Facebook page or our Chicago Facebook page.